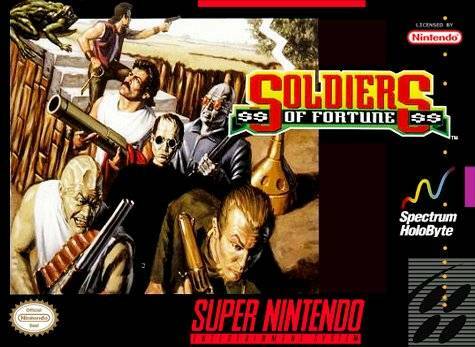 Soldiers of Fortune for Super Nintendo gives you a task which is to infiltrate a heavily fortified compound and destroy something called the Chaos Engine, which is capable of creating any kind of trap and any type of savage monster. Thankfully, you have some help: there are six other mercs to choose from that will be your cover man throughout the entire mission. You'll be armed with enough firepower to take down an army.